I enjoy walking in Melville. It’s such a pretty little town. During the short autumn, I love to peruse and browse the little mom-and-pop retail shops, and also the beautiful modern furniture stores. 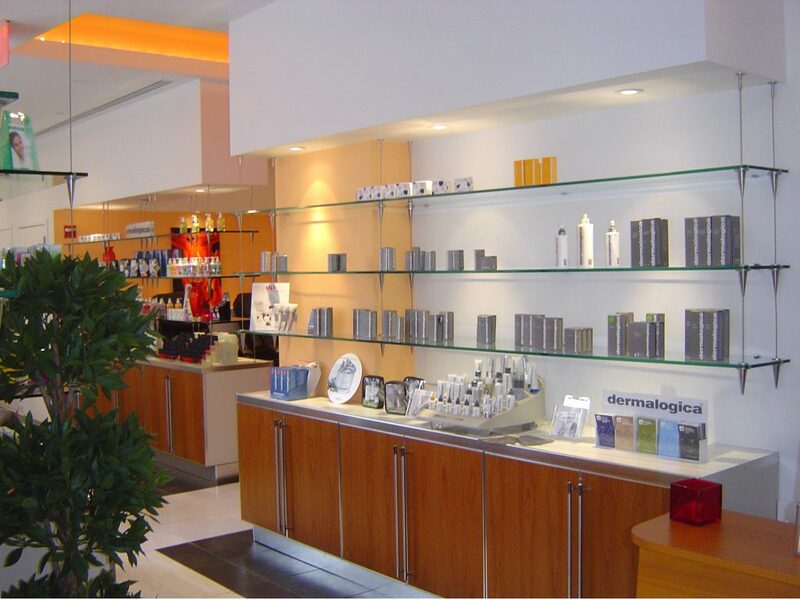 My favorite thing to do is to walk into the prominent day spas and be greeted with the olfactory scents of eucalyptus and jasmine, while my mind is utterly relaxed into submission by the ambiance of fresh soothing colors of peach and rose-colored back lit walls and light cherry cabinetry on a late Saturday morning. The entrance to the retail area and spa suites of Serenity Spa is such a bastion of pampered privilege. One only needs to book an appointment for a pedicure in the Spa 6 room, and your indelible senses will be spoiled the moment your warm and personal caring pedicurist cleanses your soles (soul?!). Take a journey into the Lavendar Room for an invigorating single or couples’ massage, where you will be re-energized with a traditional Swedish massage or relieved of sore tight muscles as you are immersed in a special hot lava stone treatment. All expertly performed by very skillful hands of your well-trained massage therapist. Prior to your arrival, the massage therapist sanitizes the stones then heats them in a bath of 120- to 150-degree water. Each stone is usually basalt, a black volcanic rock that absorbs and retains heat well and has been smoothed by natural forces in the river or sea. With hot lava stone massage, the therapist first warms up the body with traditional Swedish massage, then commences to massage you while holding a heated stone. The key is the therapist uses many stones of various shapes and sizes—large ones on the larger muscles of your body, smaller ones on smaller muscles. As each stone cools, the therapist replaces them with new hot stones one after the other. Serenity Spa’s skillful and caring lava stone therapists’ will often leave the heated stones on specific points along your spine, on your belly, in the palms of your hand, or even between your toes to improve the flow of energy in your body. The belief is the stones themselves have an energetic charge that needs to be maintained by placing them in a spiral pattern, placing them in a “full moon” periodically. In many cases such hot lava stone treatments are not for the faint of heart. These special treatments may also be inappropriate for those who have diabetes, high blood pressure, or heart disease, or are on blood-thinning medication. You should not get a hot lava stone treatment if you are pregnant, have a sunburn, or suffer from skin disorders such as eczema . Always use caution and check with your doctor to get approval before experimenting with these treatments. From what I do recall, my sensory experience with hot lava stone massage was a wonderful one. After walking out of Serenity Spa following my invigorating 75 minute hot lava river rock treatment, I never felt so alive! It was now 12:45 pm and I continued my relaxing amble along Sixth Avenue, moving on to the next urban tree-lined quaint shop, feeling the weight of the world lifted off my shoulders. Such a beautiful October day. For right now within my being, life is a peach-hued and strawberry-flavored wonderland. This is what it feels like Walking in Melville. The Melville of my imagination. Wishing you the best “Walks in Melville” whether they be imaginary or real. Please feel free to leave your comment. I very much enjoyed reading your article. It sounds so serene and rejuvenating. A hot stone massage must be very relaxing. Thanks though for telling that we should be careful in case we suffer from any of the mentionend physical impairments. Your website is very inspiring with many pictures of beautiful environments. I love to see “before and after” pictures and programmes. It always give me great ideas to change and redecorate things in my home. Thank you very much for your kind and inspiring comment, yes it certainly is and you should try it sometime if you yet have not! A hot stone massage will melt the stress away. I greatly appreciate the inspiration you have drawn from my website, that means the work we’ve done has been meaningful. Note all of the Before and After Photos (and every photo on the site) you see here on this site are our OWN work from past completed projects. Your honest assessment is most appreciated.